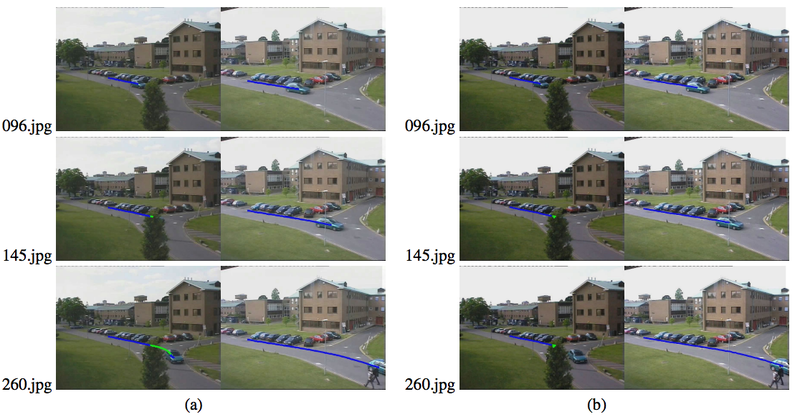 Re-identification of individuals across camera networks with limited or no overlapping fields of view remains challenging in spite of significant research efforts. In this paper, we propose the use, and extensively evaluate the performance, of four alternatives for re-ID classification: regularized Pairwise Constrained Component Analysis, kernel Local Fisher Discriminant Analysis, Marginal Fisher Analysis and a ranking ensemble voting scheme, used in conjunction with different sizes of sets of histogram-based features and linear, X2 and RBF-X2 kernels. Comparisons against the state-of-art show significant improvements in performance measured both in terms of Cumulative Match Characteristic curves (CMC) and Proportion of Uncertainty Removed (PUR) scores on the challenging VIPeR, iLIDS, CAVIAR and 3DPeS datasets. NEW: collection and short review for public re-id datasets. In this paper, a novel algorithm is proposed to estimate the location of a target while it is hidden due to occlusion. 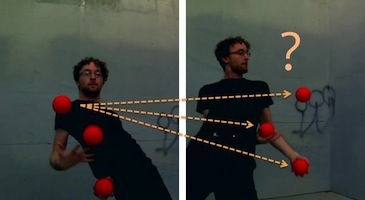 The main idea behind the algorithm is to use contextual dynamical cues from multiple supporter features which may move with the target, move independently of the target, or remain stationary. By exploiting both dynamical and geometrical constraints the proposed method can robustly handle substantial occlusion, without the need for performing 3D reconstruction, calibrated cameras or constraints on sensor separation. In this paper, we propose a new approach to exploit the temporal information encoded in the data. The main idea is to model activities as the output of unknown dynamic systems evolving from unknown initial conditions. 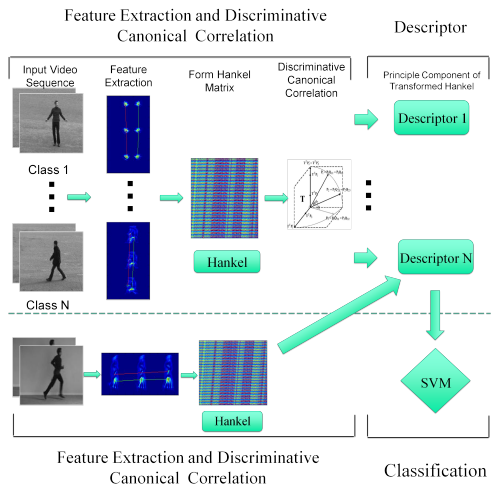 Under this framework, we show that activity videos can be compared by computing the principal angles between subspaces representing activity types which are found by a simple SVD of the experimental data. This paper shows that structured nuclear norm minimization problems can be efficiently solved by using an iterative Augmented Lagrangian Type (ALM) method that only requires performing at each iteration a combination of matrix thresholding and matrix inversion steps. This paper considers the problem of finding low order nonlinear embeddings of dynamic data, that is, data characterized by a temporal ordering. Our main result is a semi-definite programming based manifold embedding algorithm that exploits the dynamical information encapsulated in the temporal ordering of the sequence to obtain embeddings with lower complexity that those produced by existing algorithms, at a comparable computational cost.